Pet allergies are the worst. They can hinder your ability to live with pets, and make you miserable if agitated without treatment. Sniffling, sneezing, and a runny nose are the least of the problem for some. At the very worst stages of allergic reactions, asthma attacks can even prove life threatening. Unfortunately, some pet owners don’t even realize that they’re allergic to their dog or cat until after they’ve brought them into the home! Luckily, there are some preventative measures for highly allergic people to take to avoid family pet deportation. First off, there is some basic information that needs to be addressed; there are no allergy free dogs or cats. All pets have dander, (the skin flakes in an animal’s fur) and all dander has an effect. 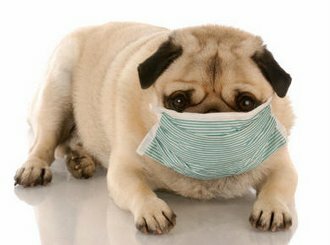 The determining factors are your own sensitivity to the stuff, and the amount of dander that your pet produces. As a general rule, a cat allergy is more prevalent than a dog allergy. However, the results are highly variable, as some people are allergic to specific breeds, or species to a greater degree than others. Another counter-intuitive pearl of allergenic wisdom is that breeds with softer continuously shedding coats are normally better for people with pet allergies. Which is somewhat odd, considering most people associate shedding with sneezing. So what to do? Begin by making certain of your allergies and go see an allergist to diagnose the cause. After all, it would be bad to blame a poor innocent puppy for something that your moldy polyester blankets in the back of the closet are responsible for. After you’ve made certain the pet is to blame, invest in an air purifier. 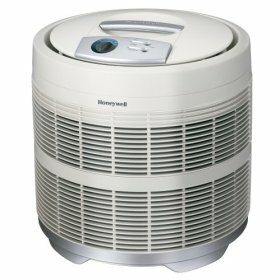 Ideally you would want a HEPA (High Efficiency Particulate Air) Purifier. 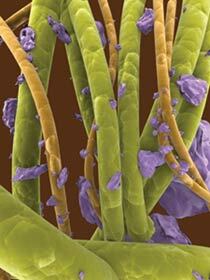 These bad boys will pick all the worst bits of allergens out of the air and leave you breathing easy. If the dander your pet exudes is really out of control, you might need one in every room. Beyond these treatments, the best method is to employ every method at your disposal. Proper house cleaning, weekly pet baths, air purification, and regularly scheduled appointments at your local allergist’s office are almost certain to clear up any avoidable allergic reactions. So unless you are just having a good time of suffering through the consistent nasal drip, try to make a trip to see a medical professional as soon as possible! Something you didn't mention is that you might have allergies even if you have a supposed "hypoallergenic" dog, like a poodle. The reason being is that you might be allergic to the urine and feces. I experienced this with my puppy until I got her housebroken. If the allergy is to the actual dog itself, the best thing to do is to rehome the dog asap before you fall in love with it. Get a poodle or other non-shedding dog and adopt it so that it's already housebroken. Thanks for the info. Weekly baths also take care of insects on cats, I hear. I'll be afraid to do that until I get some thick mitts to protect my hands and arms, though. Also, air purifier sounds like a really good option!